The global medical holography market is poised to reach USD 3.5 billion at a stellar 32% CAGR over the predicted years (2017-2023). Holography is a wider domain of medical science along with being a pioneer in the domain of medical imaging. This is a physical structure which diffracts light in the image utilizing a photographic record. Presently, medical holography is extensively used in the healthcare domain for research, medical check-up and body scanning. The various benefits associated with this technique include precise coordination in diagnostic and interventional applications, creating live images, enhanced training, minimal invasion, quicker recovery, less trauma and minimal blood loss in comparison to invasive surgery. There are numerous factors that is driving the growth of the medical holography market. These factors according to MRFR (Market Research Future) report include increase in R&D activities being conducted by leading biotechnological and pharmaceutical companies, increasing clinical application in dentistry, surgical and radiological procedures, cardiac electrophysiology and orthopedics, emerging technological innovations namely advanced miniaturized light emitting diodes and projectors that helps it deliver holographic images of high clarity. The additional factors include less invasive, improved safety profile, improved patient outcomes, advancements in technology, rapid adoption of holography by the medical fraternity, and increasing use in diagnostic imaging for visualizing complex 3D structures. On the contrary, soaring price of holography products may act a major restraint in the medical holography market over the predicted years. MRFR report offers a complete segmental analysis of the medical holography market on the basis of medical applications and type. Based on type, it is segmented into, hybrid hologram, transmission hologram and reflection hologram. The hybrid segment is again segmented into computer generated hologram, multichannel hologram, holographic interferometry, integral holograms and embossed hologram. Based on medical application, the medical holography market is segmented into holography in orthopedic, holography in dentistry, holography in ophthalmology, holographic light-in-flight recording method, multiplexed holography for medical tomography, endoscopic holography and x-ray holography. The ophthalmology segment again is segmented into diffractive bifocal intraocular lens and endoscopic holography segment is again segmented into external hologram recording endoscope and internal hologram recording endoscope. By region, the medical holography market covers growth opportunities and latest trends across North America, Europe, Asia Pacific and Middle East and Africa. Of these, North America will remain at the helm in the medical holography market over the predicted years owing to more research and development being carried out here coupled with early adoption of novel technologies. The US is the key contributor here. In Europe, the medical holography market will have the second major share owing to advanced technologies, their own research and development and own medical regulations, adoption of sophisticated and new technologies and more expenditure made on healthcare by the government bodies. The medical holography market in the APAC region will grow at the fastest pace owing to increasing awareness of the use of holography in medical applications, healthcare spending and improved healthcare infrastructure especially in the South Korea, India and China. On the other hand, the medical holography market in the Middle East and Africa will grow at a slow pace owing to slow economic development, more illiteracy and unskilled labor. The medical holography market is highly fragmented and competitive. The key players are adopting different strategies namely acquisitions, partnerships, joint ventures, agreements, high expenditure on R&D, market initiatives, clinical trials and new product launches to create a niche in the market. 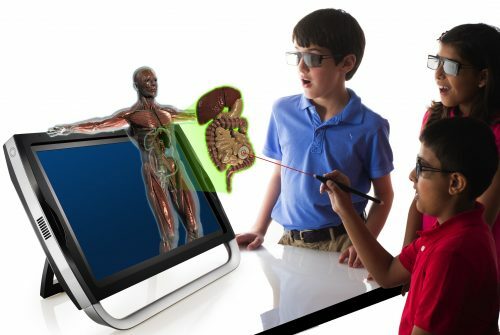 Leading players profiled in the medical holography market include Arnold Herzig GmbH, Olomagic, DPL Industri A/S Denmark, General Electric Company, Mach 7 Technologies, Lyncee Tec (Switzerland), Holoxcia (England), Nano live SA (Switzerland), Eon Reality (US), Zebra imaging, Royal Philips (Netherland), Integraf (USA), Echo Pixel (CA), Real View Imaging (Israel), and others. Jan 2019- Researchers have come up with a novel technique to multicolor holography which can be used for making 3D color displays especially for head-up displays, smartphones or augmented reality glasses sans any bulky optical components.